Although sciatica is a relatively common form of low back and leg pain, the true meaning of the term is often misunderstood. Sciatica is actually a set of symptoms—not a diagnosis for what is irritating the nerve root and causing the pain. The most common symptom associated with sciatica is pain that radiates along the path of the sciatic nerve, from the lower back and down one leg. Pain that radiates from your lower (lumbar) spine to your buttock and down the back of your leg is the hallmark of sciatica. Occasionally, sciatic pain in men is caused by sitting on a wallet. However, symptoms can vary widely depending on where the sciatic nerve is affected. Some may experience a mild tingling, a dull ache, or even a burning sensation, typically on one side of the body. The most common cause of sciatica is irritation of the sciatic nerve in the lower back (lumbar region) due to a herniated or ruptured disc. Spinal discs are shock-absorbing cushions between each vertebra that keep your spine flexible. Discs have a stronger outer ring and a soft jelly-like center, but as we age, spinal discs can deteriorate, becoming drier, flatter, and more brittle. Frequently, the tough outer covering may develop tiny tears, which allow the jelly-like substance to seep out (rupture or herniation). The herniated disc may then press on the nerve root, causing sciatic symptoms such as pain, tingling, and weakness in the legs and feet. Nerve roots may also be irritated by the chemicals found in the discs’ nucleus. 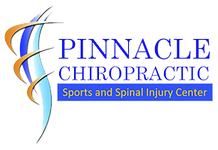 Chiropractic spinal manipulation is proven to be effective and has minimal side effects. Recently released practice guidelines published in the Annals of Internal Medicine (2007) stress a conservative approach to treating low-back pain and recommended spinal manipulation as one treatment with proven benefits. Unless advised otherwise by your doctor of chiropractic, remain active and avoid prolonged bed rest. In the long run, inactivity can make your symptoms worse, whereas regular exercise has been shown to reduce the intensity of pain associated with sciatica. Fortunately, 80 to 90 percent of patients with sciatica will recover without surgery. If surgery is warranted or your doctor of chiropractic feels it would be best to co-manage your condition with another provider, however, he or she will refer you to a local specialist.